Another in the row of five Period Houses built by a speculator in the early 1930s. Here the roof is gambrel-front with wall dormers along the sides. 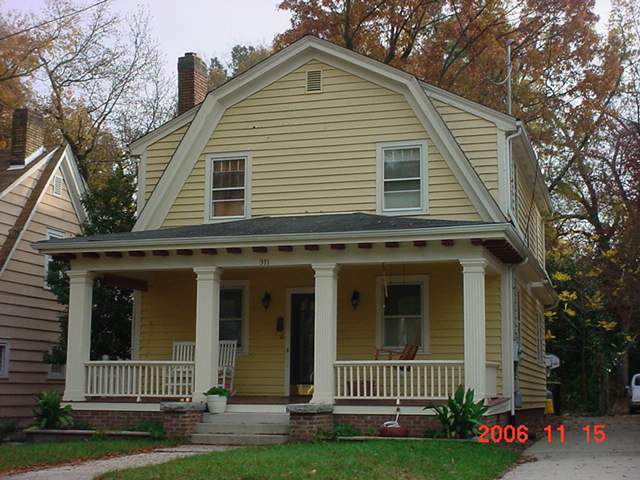 The hip-roofed porch has deep eaves with sawn rafter ends, large fluted box posts, and match stick railing.